All Clifton homes currently listed for sale in Clifton as of 04/22/2019 are shown below. You can change the search criteria at any time by pressing the 'Change Search' button below. If you have any questions or you would like more information about any Clifton homes for sale or other Clifton real estate, please contact us and one of our knowledgeable Clifton REALTORS® would be pleased to assist you. "Within an hour's drive of the White House, in our nation's capital, yet deep in Virginia horse country, lies this impressive equestrian estate on 9.49 acres.Designed and constructed by renowned John Neufeld Architects of Fairfax, Virginia, the main house is of the French provincial style in stone and stucco, and features five bedrooms, including an expansive master suite with private sitting room on the second level, four full bathrooms, one half bathroom on the main level, a formal dining room with a custom commissioned mural depicting the property in its full glory, a formal drawing room, an oak paneled study, a large gourmet kitchen with keeping room plus family room and built ins.The large fully finished lower level is absolutely ideal for entertaining, or as a place in which to play family games such as pool and cards, with its Butler's Pantry and bar, fireplace and television area. The lower level gives out to a delightful sunken patio which accesses the backyard. The barn is a stunning eight stall building comprising a hay loft with twin cupolas, which house ventilation fans to complement the natural airflow from the open windows at either end, a heated tack room and a laundry room.From the barn, riders emerge to either a choice of five large, white painted fence paddocks or directly to the olympic size dressage arena with full with arena mirror." 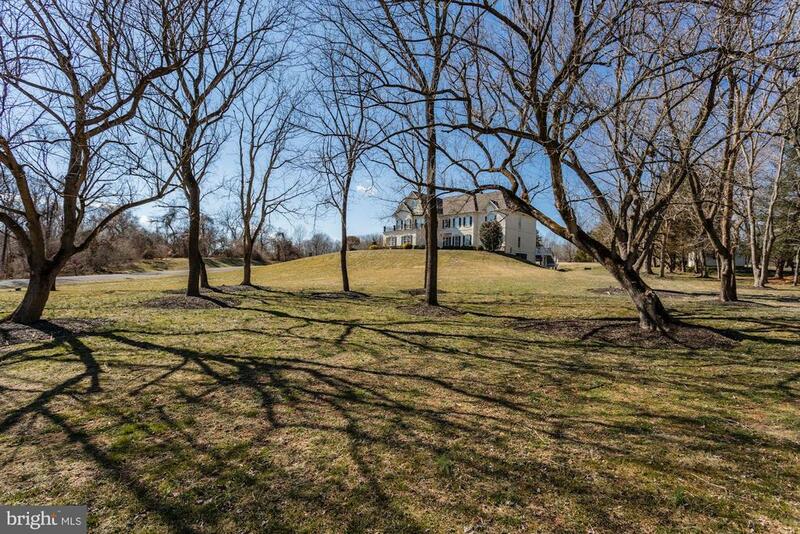 "**MUST COME SEE** GORGEOUS private 5AC lot w/9500+total sqft estate of pure perfection! Exquisite details throughout w/ELEVATOR. 2-Story foyer w/curved staircase & formal LR & DR. Chef's caliber dream come true kit. 2-Story FR w/coffered ceil, frpl & view of UL landing. Luxurious master Ste w/frpl, Juliet balcony, 2 WIC & grand BA. Entertaining LL w/wet bar, RR & media rm. Gorgeous pool & 4 car gar." "Clifton. Historical Heart. Modern Beat. A Masterpiece of unlimited opportunities for entertaining & enjoying the finest of Today's Living! Over 12,000 square feet includes a 3-level East Wing & 5 Garage Bays. Grand circular Foyer, Banquet-size Dining Room, Chef's Kitchen with Refreshment Center. Exquisite craftsmanship and custom details at every turn. Take the Party Outside to expansive Deck & Patio with Pastoral Backdrop. WATCH TruPlace Tour with Drone Aerial!" "The details of this extraordinary custom home just must be seen! Sitting on 6.2 private acres, and located in the Robinson High school pyramid, this 5 Bedroom, 8 Bath home has just too many beautiful upgrades and amenities to list. Although, with almost 7000 sq ft of living space, this home still feels warm and inviting. The open floor plan of large scale and high ceilinged rooms encourages entertaining with style, but still has warmth, and an intimate feeling. This property has been loved, and meticulously cared for, and was home to a large family. However, now all of the children have moved on with their lives and it is time for the owners to downsize. Approaching the front door, you will be beckoned by a wonderful porch that runs the full length of the home. Perfect to enjoy a drink and look at the beautiful and private landscape. Upon entering, you will find a light filled two story stately foyer with a gracious staircase leading to the upper level. The foyer is flanked by a gorgeous formal living room with stone fireplace and an oversized dining room, perfect for entertaining in style. Off the dining room, you will find a butler' pantry with plenty of storage in the lighted glass door cabinetry, a sink,and a glass door wine cooler. French doors lead to a private office/study located conveniently behind the formal living room. A true gourmet kitchen with all the best stainless appliances, storage galore, and walk -in pantry, is a chef's dream come true! Granite countertops, double Bosch dishwashers, Dacor double ovens, Viking 6 burner Gas Cooktop, Viking SS hood, Viking warming oven, two large islands, along with a generous table space is located next to a cozy gas fireplace with Indiana LimeStone mantle. Access to the deck is found off the kitchen. In addition, this home offers a spacious and light filled great room with cathedral ceilings and large stone fireplace leading to the expansive Trex back deck that spans the entire home. Traveling upstairs, you "
"UPDATE: April 19th. The builder is adding options to the house. Price reflects the change. Still time to choose colors and types of flooring and tile. 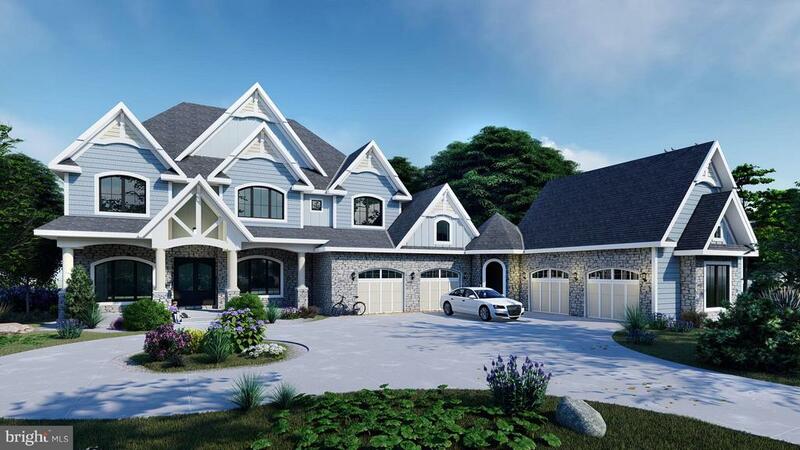 This magnificent 8,000 square foot house will be built on a 5 acre lot. Huge Master Bedroom with big Her and His closets. 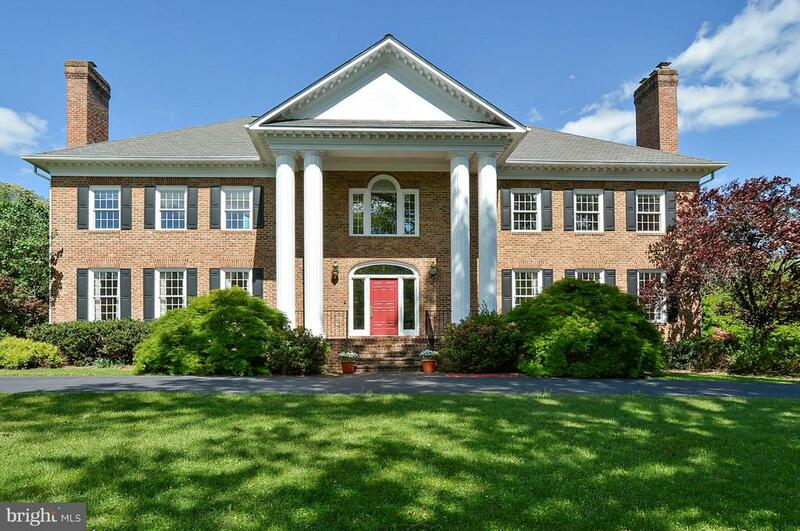 Call 703-989-1598 for more details"
"OPEN HOUSE Sat 4/13 4 -6 p.m. and Sun 4/14 2-4 pm**Large Price Reduction of 150K**A light-filled Williamsburg styled Colonial Revival mansion on a quiet country lane in Clifton, Virginia, is a picture-perfect, large three-story, brick house with another level below-grade, and has about 12,000 square feet of living space. A double staircase leads to a welcoming front door that is encompassed by a two-story Palladian window, which floods the first-floor and central staircase inside with sunlight. The home has seven bedrooms, seven bathrooms and two half-baths. The current owner, added a three-car garage with an au-pair suite. Other improvements included four steam humidifiers, a whole-house vacuum system, two tankless gas water heaters, and extra attic insulation. Additionally, they installed a whole-house generator that can power the entire property including the pool, along with a battery backup that can run the house for 24 hours if the main system fails. Two large decks and a screened gazebo overlook the pool, which is surrounded by terraced landscaping and a brick patio. An Otis elevator to all 4 levels, makes it easy to transport refreshments and accoutrements for entertaining from the kitchen to the lower-level pool and patio." "Custom elegance abounds in this true Williamsburg-style estate. 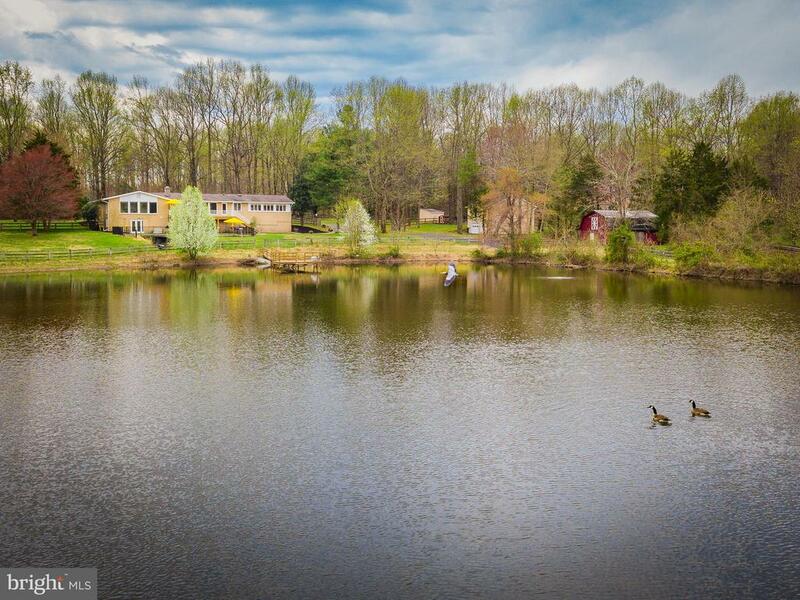 5 BRs, 5.5 BAs, and over 8 acres of park-like privacy. Luxury appointments including honed granite countertops, custom kitchen cabinetry, Carrera marble, mosaic tile, cast iron tubs, plaster ceiling medallions, and 11-foot ceilings on the main level. Exquisite millwork. Oversized 3 car garage w/ insulated suite above. Duraslate roof." "Incredible 5 bedroom, 5.5 bath Estate home in sought after Wyckland. Premium 5 acre lot, expansive fenced backyard, balcony and deck. Traditional floor plan with over 7,300 square feet of finished living space and great flow for entertaining. Six fireplaces and 4 level living! Gourmet kitchen with island, viking range, breakfast room, wine fridge and wet bar. Formal dining and living room, center hall foyer, and family room. Owner~s retreat with private balcony, sitting room, custom closet and spa-like bath. Finished basement with recreation room, wet bar, storage room and full bath. Amazing location moments from Historic Clifton restaurants and shops. Potential for an equestrian estate." 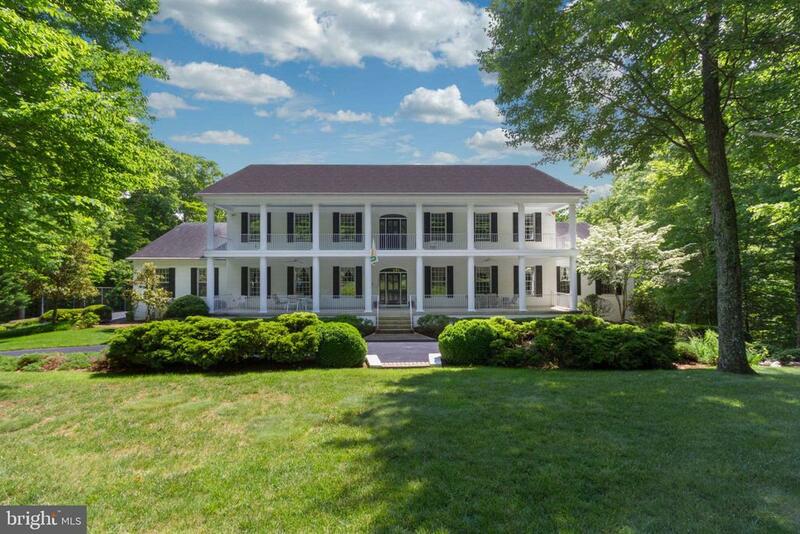 "Southern Elegance in Clifton - This stunning Antebellum estate was inspired by the historic Rosedown Plantation in St. Francisville, Louisiana with its expansive double front porches and majestic white pillars. Situated on a private 5-acre lot, backing to woods and parkland among the rolling hills of Wyckland, this home has it all. Enter the two-story foyer with curved staircase ascending to the upper hall leading to the top level front porch. The main level boasts large rooms, including a light and open gourmet kitchen, classic library with two walls of cherry cabinetry built-ins, beautiful hardwood floors and floor to ceiling paned windows. The main level master suite offers a respite with gas fireplace, two walk-in closets and a large master bath. The second master suite on the upper level is joined with three additional bedrooms, two full baths and a grand office complete with built-ins. The large lower level family room includes a fireplace, wet bar, workout facility, two offices and an impressive in-law/au pair suite including a full kitchen, bath and living space. A two-story back staircase provides privacy and ease of access to all levels of this stately home. Enjoy your serenity or entertain friends and family by the refreshing pool located on the picturesque, private lot. All of this just outside the historic town of Clifton, VA, amidst the peace and tranquility of Wyckland and just 25 miles from Washington, DC. 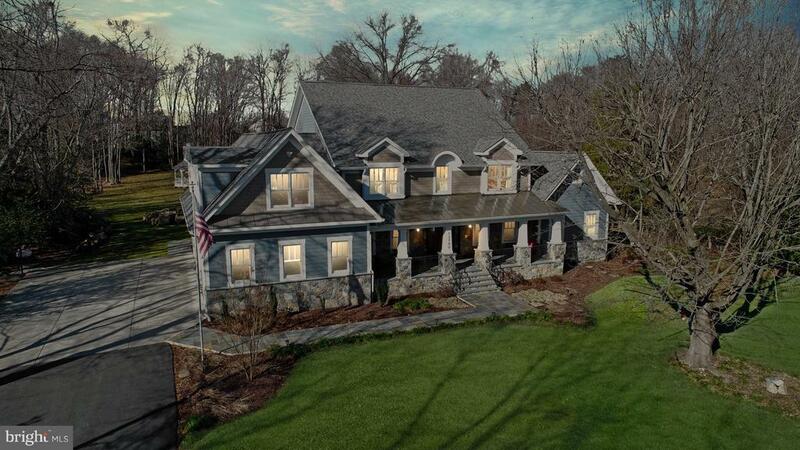 SPECIAL FEATURES In-law/Au Pair Suite includes: Full Kitchen, Dining Area, Living Room, Bedroom, Full Bath,Walk-in Closet, Laundry, Private Entrance"
"NEW CONSTRUCTION-TO BE BUILT - $1,399,900+ Base Price minutes from the Historic Town of Clifton. This exquisitely crafted Clifton new construction estate is almost ethereal. Designed for quintessential indoor-outdoor living. This expansive light-filled home offers awe-inspiring sweeping forest views through walls of glass and impeccable finishes at every turn.Entertain in the massive great room with a fireplace, served by a sleek open chef~s kitchen. Sip your morning coffee in the breakfast nook over-looking the private backyard.After a long day, nothing compares to the serene master suite. Featuring a spacious sunny bedroom brightened by a window wall, dressing room/walk-in-closets, and a sleek magazine quality luxurious bath.To be built and designed by award-winning Timm Engineering, you have endless choices to design your style of luxury.Situated close to neighborhood parks, trails, golf courses, award-winning restaurants, & great schools. Live life wide open in a home that takes full advantage of Clifton~s big skies, history, and endless wooded views.With three concepts to fit your taste, lifestyle, and budget! This is a custom build so the options are endless and the sky is the limit on finishes! What are you waiting for? Call today to walk the lot and make design choices. *Home in photo is just an example of type of home that could have built on the property"
"This is the lifestyle you have been looking for! 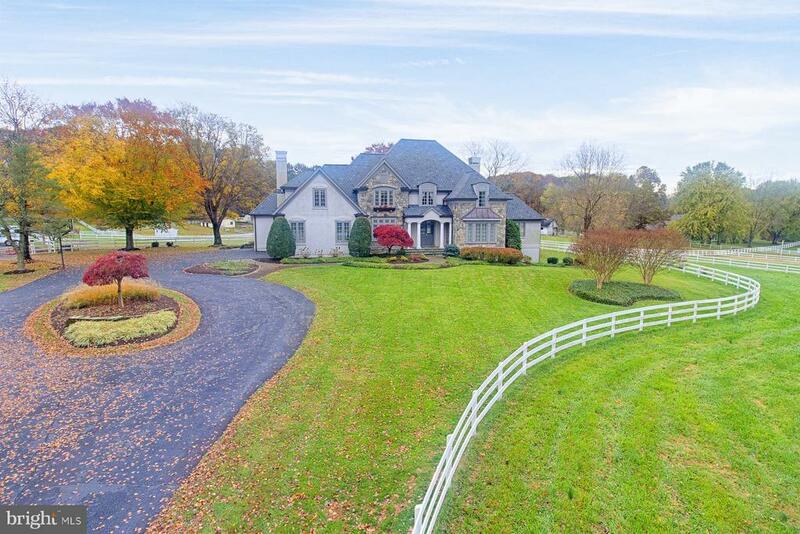 Natural beauty surrounds this custom, all brick Rancher sited perfectly on an 8.39-acre estate lot in the rolling equestrian countryside of Clifton in Fairfax County, Virginia, outside our nation's Capital of Washington, D.C. This splendid private estate has over $400,000 in custom upgrades. It was beautifully remodeled in 2016-18 and features 7 bedrooms including a main-level master luxury suite and lower in-law/au-pair suite, 4-1/2 baths and a two-sided masonry fireplace. It has approximately 7,100 square feet of finished living space, all with gorgeous views in every spacious light-filled room on two levels! Additionally, this private estate boasts a gorgeous pond with dock, horse stable with upper loft, run-in horse shed, attached 2-car garage, a two-level detached 2-car garage, and an in-ground swimming pool, all fully fenced and surrounded by open pastures, groomed yard and mature trees.Clifton is noted for its rolling Virginia hills and abundance of private, wooded acreage, while the historic town maintains the charm and feeling of a Norman Rockwell painting! 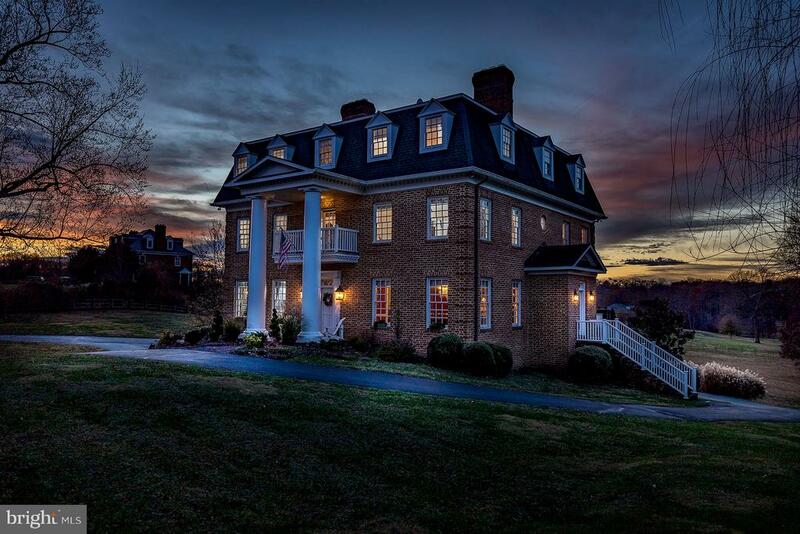 Clifton has been around since the 1700's, affectionately referred to as the Brigadoon of Virginia and being favored by U.S. Presidents, First Ladies, Supreme Court Justices, Congressmen, Senators, and other notable Washington celebrities! 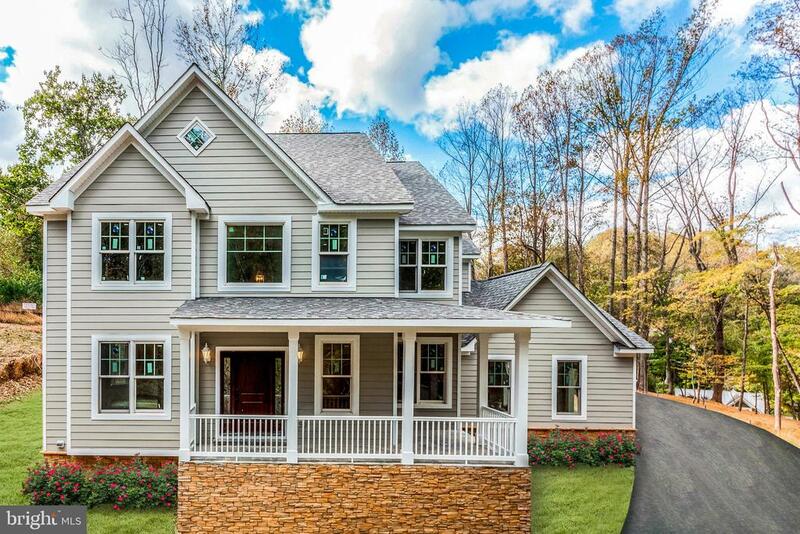 Enjoy the best of convenience and quality with nearby highly rated Fairfax County Schools and commute with ease via I-66, Routes 28 & 29, Fairfax County Parkway, Braddock Road. 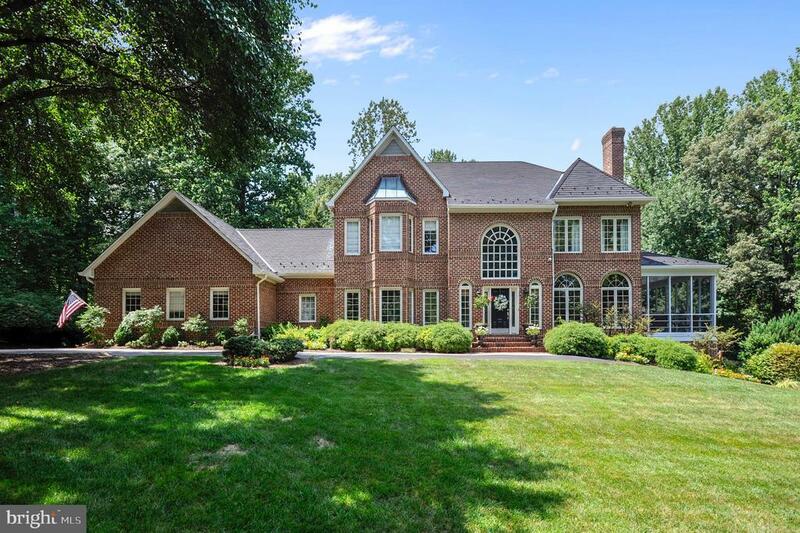 It is less than half a mile to Twin Lakes Golf Course and about five miles to Fair Oaks mall, Fair Lakes Shopping Center, Wegmans and Whole Foods, Giant, Starbucks and Fairfax County Government Center. Plus, the Springfield Metro and the Burke VRE are close by. Please visit https://clifton-va.com/ for more information about this fabulous historic town! You will just want to come home to this exquisite estate home and property to retreat f"
"Spectacular custom brick colonial freshly updated to the max on one of the prettiest, most convenient streets in North Clifton and one of the best lots in Cedar Knolls. 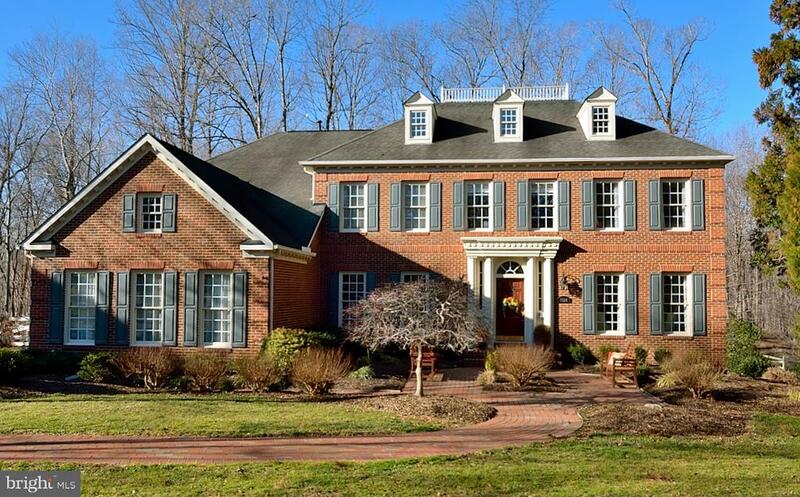 Huge rooms, 4 fireplaces, lots of windows, gourmet kitchen, large master suite w/luxury bath. Everything is new & move-in ready. Pool w/cabana/pool house. Best buy and value in town plus NORTH CLIFTON! - LOCATION LOCATION LOCATION!" "This stunning Renaissance ~Grand Chagall~ executive estate and custom home is located in Balmoral Greens of Clifton, a private community of 179 estate homes nestled among 1000 acres of protected forests and pastoral fields in beautiful Fairfax County Virginia, with homes ranging from $1 to $4.5 million dollars. Enjoy 18 holes of golf at the Westfield~s Golf Club, located at the entrance to this highly sought after neighborhood. This Balmoral gem has over 7400 square feet of high-end interior living space for the discriminating buyer. The home is sited on 2.39 acres of pristine land, backing to parkland. This immaculate, beautifully maintained home features five bedrooms, four full baths and two half baths. There is a two story foyer with a floating curved staircase, intricate molding, decorative niches, two story ceilings and newly refinished hardwood flooring throughout the first floor. The dramatic living room with walls of windows and spacious dining room are open and airy, perfect for casual or formal entertaining. The living room has a French door leading to the 1,250 square foot, custom Timber-tech deck. The kitchen cabinets were faux finished by a renowned artist to give the estate a ~Clifton, country~ feel. The large family room features an architecturally detailed coffered ceiling, marble gas fireplace and new hardwood flooring. Three sets of French doors lead to the beautiful outdoor living area. The home features a separate main level study, which is set off with glass pocket doors. The custom hand crafted, fully finished basement has a guest suite/work-out center and a full bath with a walk-out basement exit to the lighted area under the weather-proof decking. Distressed heart pine wide planked flooring, hand crafted wood paneling and a custom bar make the lower level an entertainer's dream. The custom bar/kitchen features a refrigerator, commercial ice maker and a four tap kegerator. There are antique brick pillars and a brick back wall. The flat scre"
"Elegance and quality abound in this custom estate home on 2.25 private acres backing to Westfields Golf course in the sought after community of Balmoral Greens. Spanning over 7700 sq ft, the residence is expansive yet has a warm and inviting feel with 5 bedrooms, 5 full baths, 2 powder rooms, and a fully finished walk out basement. Truly an entertainers dream home ~ from the open concept kitchen, to the basement bar and wine room, to the outside patio area. The recently remodeled chefs kitchen features professional appliances ~ Wolf 48 inch range with one and half ovens and an additional wall oven/microwave, Miele dishwasher, Miele built in coffee/espresso station along with wood paneled refrigerator, a wine fridge, veggie sink, granite, huge island and quality cabinetry. The family room features a coffered ceiling and gas fireplace with custom wood mantel. The owners retreat with sitting room, built in bookcases, gas fireplace, and custom closet is the perfect place to relax along with the spa bath featuring Jacuzzi jetted bath tub, triple shower heads, and his and her custom vanities with granite. Three more spacious bedroom upstairs all have en suite remodeled baths with new lighting, mirrors, and granite vanities. The fine attention to detail in this home and abundant entertaining space continues in the basement with the fifth bedroom, additional full bath, billiard space with custom wet bar, rec room with the 3rd fireplace, and a spectacular 800+ bottle temperature-controlled wine tasting room/cellar. The private backyard features extensive hardscape with blue stone slate patio, firepit, hot tub, sprinkler system. Meticulously maintained by the owners with many major systems replaced including hot water heaters, AC compressor, upstairs HVAC, driveway and more. Too many upgrades throughout to mention, this home is a must see in person to appreciate the quality craftsmanship and amazing attention to detail. The community is home to the Westfields Golf Club and h"
"BEAUTIFUL CARFTSMAN HOME BY LAWTER HOMES. TO BE BLT. STILL TIME TO CUSTOMIZE. THREE LEVEL WALK OUT BASEMENT WITH GOURMET KITCHEN, MAIN LEVEL LIBRARY, EXTENSIVE TRIM PACKAGES AND DETAIL. MASTER SUITE W/ TRAY CEILING -SITTING AREA- WALK IN CLOSET-MORE!, ADDITIONAL 4 BEDS& TWO BATHS UPPER LVL. 3 CAR GAR. FINISHED BASEMENT W/REC RM, GAME AREA, PRE-WIRED MEDIA RM, BONUS RM. CUL DE SAC, PERFECT SETTING!" 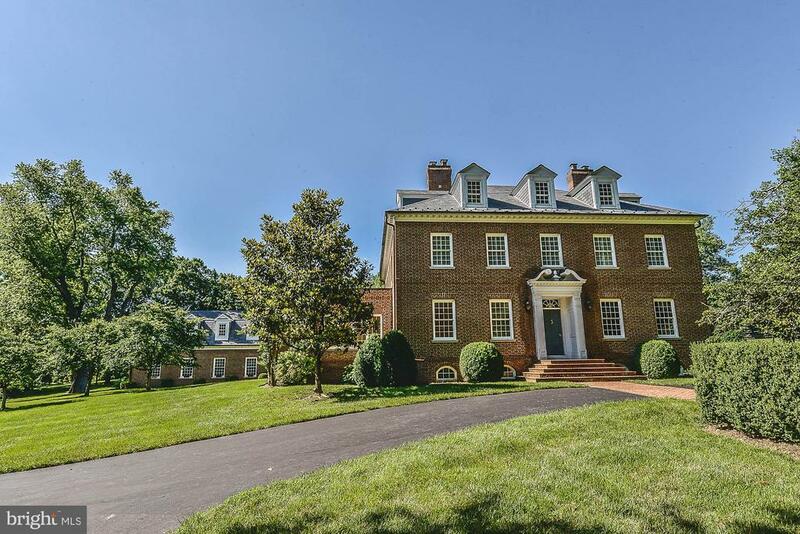 "STUNNING CLASSIC SCHULTZ DESIGNED CUSTOM CRAFTMANSHIP - 2.5 LVL BRICK RAMBLER ON MOST SPECTACULAR 5.5 ACRE IDYLLIC LOT YOU HAVE EVER SEEN ** MATURE HARDWOOD, FRUIT TREES, INCLUDING BOXWOOD & LARGE HOLLY **TRULY THIS IS PARADISE! DRAMATIC SETTING, 6,000+SF CHARMER - MODEL LIKE CONDITION WITH TOP OF THE LINE APPOINTMENTS - NEW ROOF 2013. NEW 3-ZONE HVAC 2016, SPACIOUS MASTER W/16' CEILINGS, SPACE! PEACEFUL RELAXING PROPERTY. NO HOA." "Privacy, luxury & location! 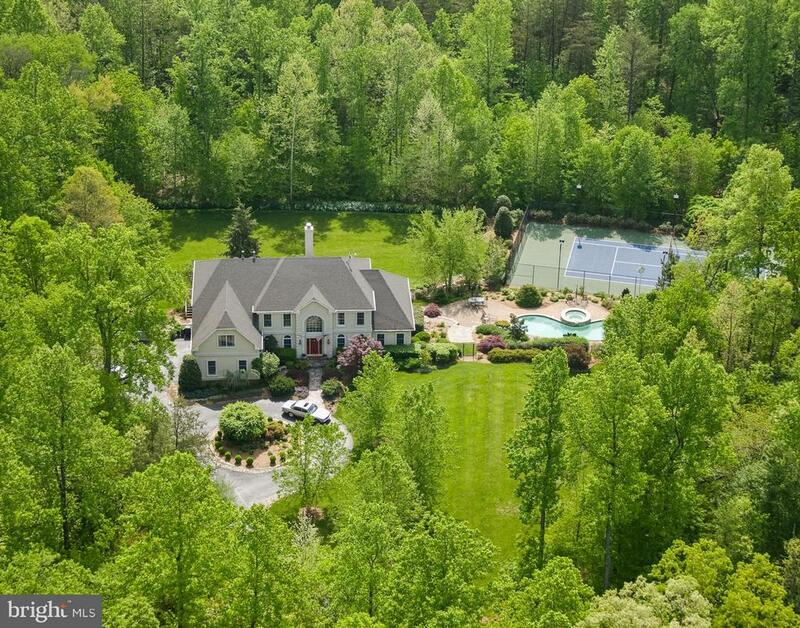 Gorgeous 5-acre estate w/ 4 bedrooms (possible 5th), 5 bathrooms, oversized 3-car garage & 6,500+ sqft LOADED w/ upgrades including: 2-story entrance w/ crystal chandelier, marble floors and winding staircase; 10ft ceilings, hardwood flooring, dental work crown molding throughout the house; remodeled gourmet kitchen w/ new Quartzite countertops & island, Sub-Zero refrigerator & freezer, Wolf range w/ double oven & warming drawer, dual dishwasher, porcelain flooring, large pantry area and sunroom/breakfast area. Main level also features: Executive study w/ gas FP, formal living room w/ gas FP, side screened-in porch, Upper level features: 9 ft ceilings, Spacious master suite w/ coffee station, 2 walk-in closets & deluxe master bath w/ separate (steam in) shower w/heated mirror, private water closet w/bidet, soaking tub & his/hers sinks, heated floors; 2nd master suite w/ walk-in closet, full bath & decorative wood burning FP. 2 guest suites w/ walk in closets & dual sinks. 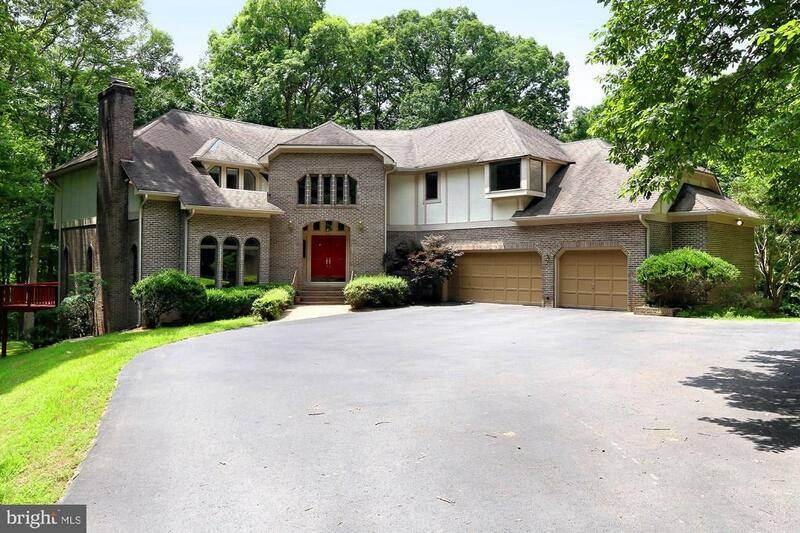 Lower level features: Full finished basement, media room w/ built-in bookshelves, game room, home gym w/ mirrored walls, possible 5th bedroom, full bath & plenty of storage area. Exterior features include: Heated pool (pool re-plastered & heater replaced 3 years ago, new automatic electric cover 1 year old), hot tub, wrap around rear deck, patio area, extensive landscaping, 5 acres (partially fenced). Other features include: Upgraded garage flooring, slate roof, new HVAC (2 years), security system (includes 3 exterior cameras), surround sound pre-wire, water softener, full irrigation & sprinkler system." "Remarkable residence, elegant, huge, and perfectly nestled amongst towering trees, private, safe & quiet 7+ acre lot! 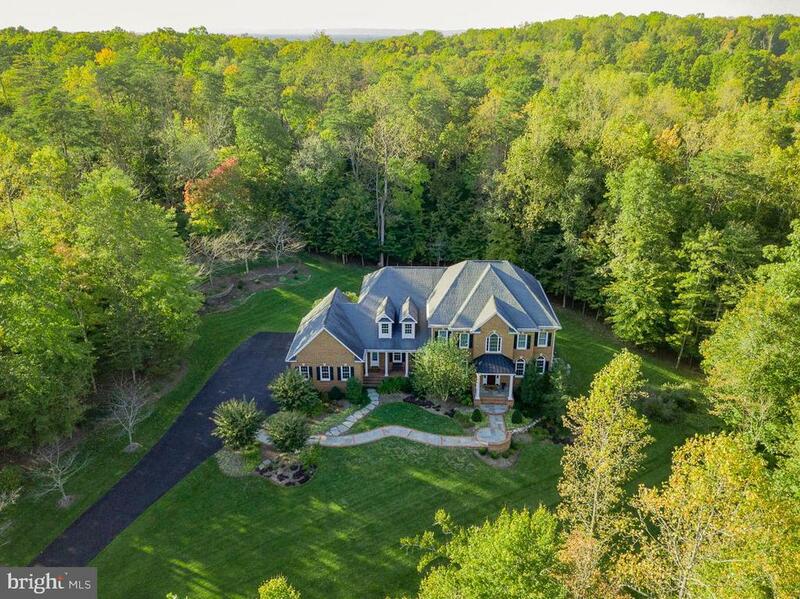 Superb location - minutes from the Town of Clifton, restaurants, Paradise Springs Vineyard, Hemlock Overlook Park, Burke Lake Park, 3 different golf courses & easy access to Manassas & the heart of Prince William County! Luxurious throughout with a huge upgrades list: freshly painted interior & exterior, kitchen appliances & resurfaced counters, new lighting fixtures & brushed nickel hardware,~ new mahogany front door, all vanity, bath & kitchen fixtures replaced & so much more! Luxurious master suite with gorgeous terrace overlooking backyard, updated grand bath, 2 walk-in closets & master retreat 5th Bedroom. Beautiful deck with gazebo - perfect for relaxation. Meticulous landscaping. Circular driveway." "Sellers are motivated! Bring your offers! You won't find another gorgeous, flat, usable lot like this! Move-in ready, or renovate to make it your very own personalized residential resort! Some highlights: Main level master bedroom, 3-car garage, heated pool, tennis courts. Notable recent updates-2019: Furnace, carpet, paint; 2018: Pool resurfaced and retiled, pump replaced; 2017: Roof, skylights, gutters, tennis court resurfaced. Offered below appraised value for quick sale!" 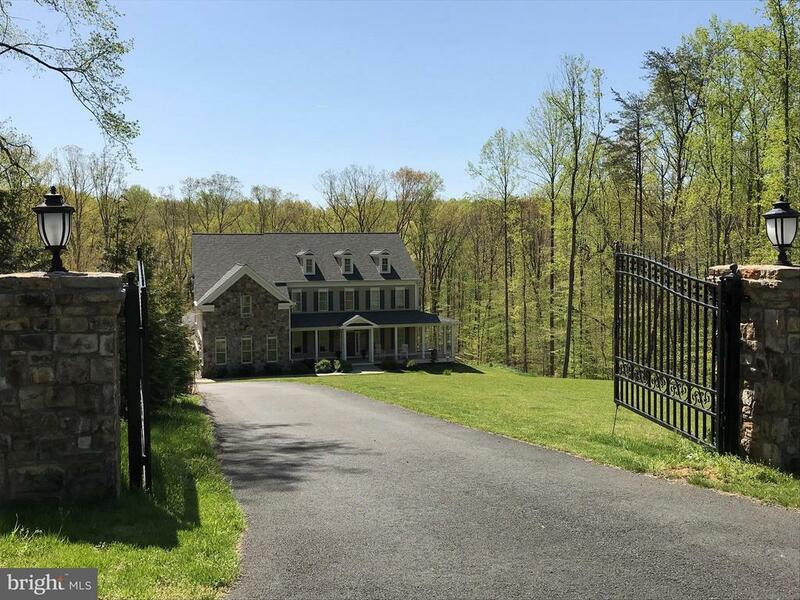 "Sited on a wooded hillside overlooking the historic Town of Clifton & surrounded by acres of forest is where you will find this custom residence. The pre-sale period is limited & opportunities like this come rarely. Short distance to the exclusive shops & restaurants & become a part of life in this special town. More photos to come." "Want a peaceful private setting with gorgeous views of nature? 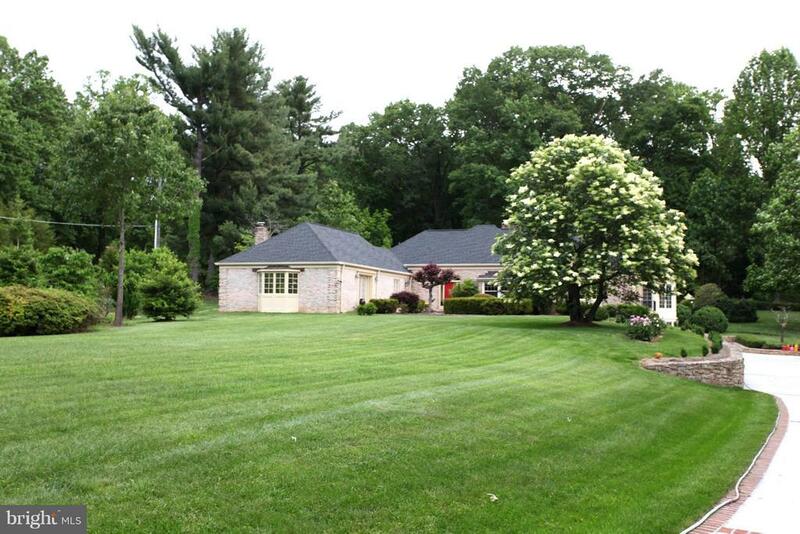 This elegant home is perfectly situated on 6 acres. Light, bright contemporary feel. The open floor plan with soaring ceilings, rich hardwoods, 3 fireplaces and abundance of windows is one of a kind custom home! Updated gourmet kitchen and baths! Grand master suite with walk in closet and spa like bath. Walk out lower level with game room, fitness room, full bath and extra guest room. All of this is tucked away near the historic town of Clifton with it's quaint shops and restaurants." 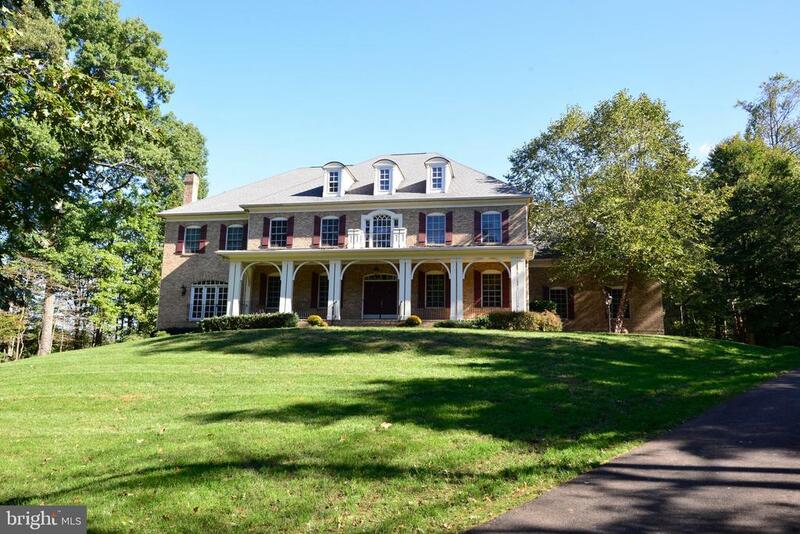 "Amazing estate home on over 6 acres with 5 bedrooms and 5 Full baths. Storage everywhere with a full 3 car side entry garage. 6900 finished square feet to spread out and enjoy. Traditional colonial architecture flooded with light and modern conveniences. 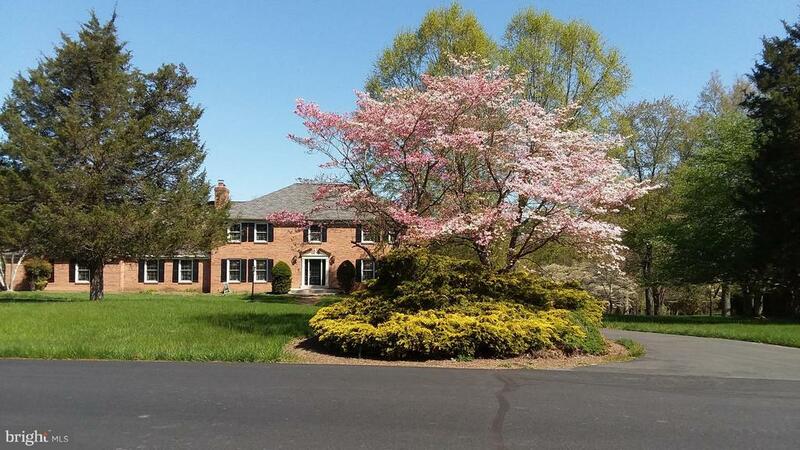 Surrounds by nature for complete privacy behind but VERY close to Fairfax County Parkway. Brick walkway to guide your guests to the Grand Foyer. Formal Living and Dining Rooms with beautiful detail, filled with light and beautiful views. Main floor office with windows on all sides. Solarium and Sun Room provide more space to appricate the amazing views. Two story Great Room ready for entertaining. Paladin windows flood the dining room with light. Hot tub on deck to enjoy. Gourmet kitchen with custom cabinets and a large eat-in area. Full bath just off garage entrance. Second staircase leading to a second Master Bedroom and adjoining au-pair suite/den. Upstairs laundry and a double vanity hall bath service the additional two over-sized hall bedrooms. Primary Master boasts a massive dressing room. Luxurious Master Bath with another walk-in closet. Basement ready for guests with a wet bar leading to a lower level family room. Additional den and ceder closet. Walk-out to beautiful landscaping . Storage completes the other half of the basement. Robinson Pyramid"
"Price adjustment and motivated seller! 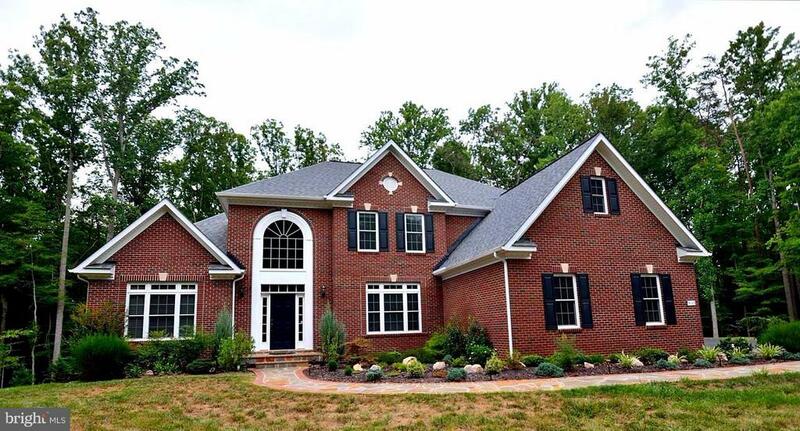 Gorgeous colonial with upgrades throughout! Home sits on priv 5 acre lot that backs to trees! All 5 BR's have private full baths! HW flrs entire mn lvl; Gourmet Kitch w/granite, SS App, dbl wall ovens, cooktop, & more! Brkfst Rm; Formal Liv & Din Rms; Fam Rm with wood burning FP; MBR w/tray ceil, 2 walk ins & spa-like BA; walkout Lwr Lvl w/rec rm, 5th BR & full BA! 3 car garage!" "Situated privately on a cul de sac lot backing to regional parkland, this luxurious home features a 3 car side load garage, professionally landscaped yard with custom hardscape front to back, irrigation system, expansive decking and stone work, beautiful fencing, security system and intercom. All major systems have been updated. As you enter this stunning home you will be greeted by a dramatic two story foyer with upgraded staircase and open interior floor plan offering inviting entertaining spaces. The elegant dining room and living room feature custom wood trim and built in cabinetry. The large family room is beautifully light filled with 10ft ceilings, full stone gas fireplace and raised hearth. The main level has a study with upgraded bay window and custom built in cabinetry. The kitchen will wow you with its beautiful granite countertops & center island, Viking double wall ovens, Wolf range hood, Sub Zero refrigerator and back stair case to the upper level. Enjoy your morning beverage in the sun drenched morning room with cathedral ceiling and gas fireplace that adjoins the kitchen dinette. A spacious and convenient laundry/mud room with built in storage and cabinets is complete with a utility sink and a rare laundry chute. Throughout the main level is beautiful hardwood flooring, custom niches and trim work. The upper level features 4 en-suite bedrooms with bathrooms. The stunning owners suite features a classic 10 ft tray ceiling and custom trim throughout, sitting area, his and hers walk in custom built closets and a floor to ceiling mirrored dressing area. The luxurious master bath features a custom frameless glass walk in shower, jetted soaking tub, his and hers vanities and 10 ft. tray ceiling. The lower level is a spacious 2200 square feet! It walks out to a huge stone patio, fenced yard and offers an abundance of storage. This sought after community is home to the Westfields Gold Club for golf enthusiasts to enjoy and there is direct access to the Bull"